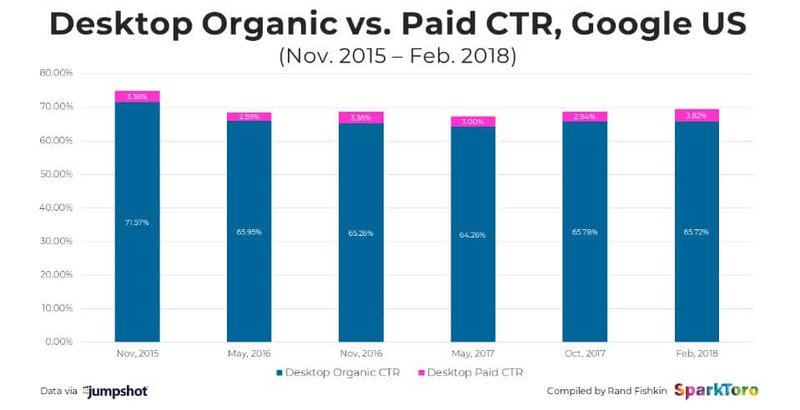 The Organic CTR on desktop has slowly decreased over the years but is still a very healthy 65% of all the clicks to websites from desktop computers. PPC (Pay Per Click) CTR is slowly increasing and currently stands at 3.82%. Out approach to SEO is to always have some level of budget devoted to PPC together with a SEO campaign. 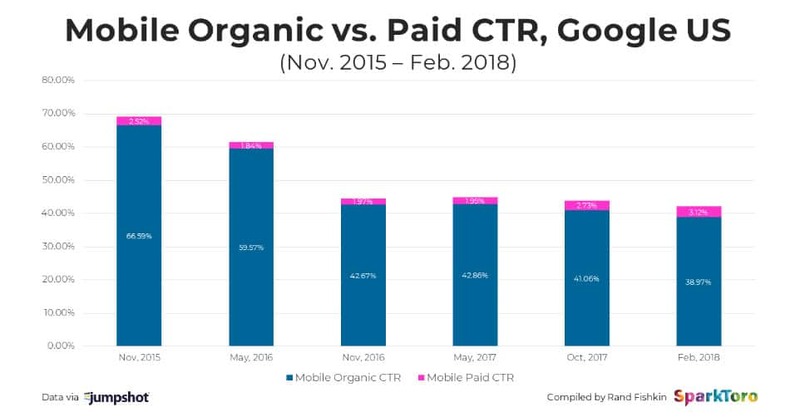 (click through rate) is becoming a real challenge, see the graph below. As you can see, getting clicks is getting harder. 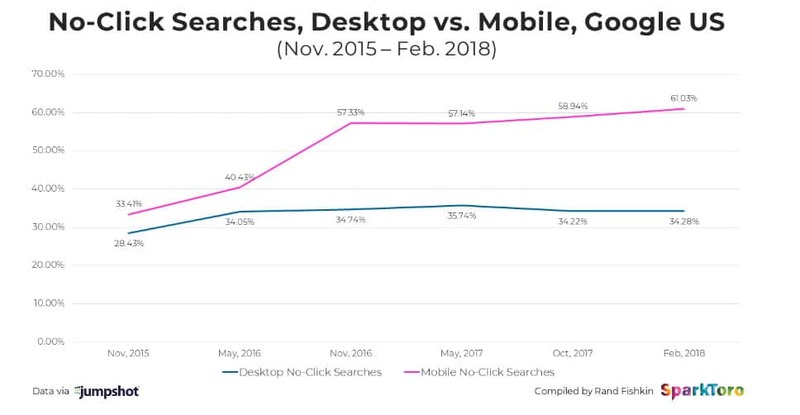 So what is the solution to the lack of clicks on mobile? The way to solve this is to try and solve the results in the search and then get the searcher to come to your website or call you.